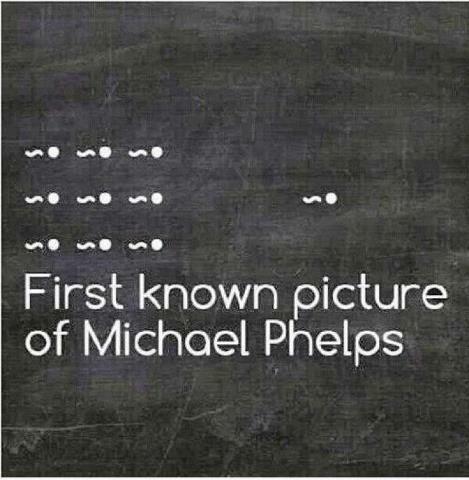 Before I dive into the seriousness of his handwriting I promised to show you the rare photograph, supposedly one of the earliest known pictures taken of Michael Phelps! Listen, in my courses, we have a lot of fun learning some very serious information. And if you need to check your sense of humor, check your handwriting. You’ll find those with a long curvy stroke that starts or leads-in to some of the first letters of a word, have a wicked and delightful sense of humor! How to spot a sense of humor in handwriting: Look at the long lead in stroke to the letter M in the name Mary. OK. Back to your lesson and looking at just a few highlights of Phelps’ signature. What I love and find very telling is his i dot! 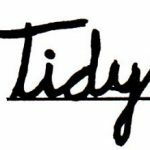 In both of the signatures from the last post and this one, you cannot discern the actual letter i, but you can see that i dot vividly. And just by eye-balling it you can see that it is place directly and precisely above where the i should/would be! 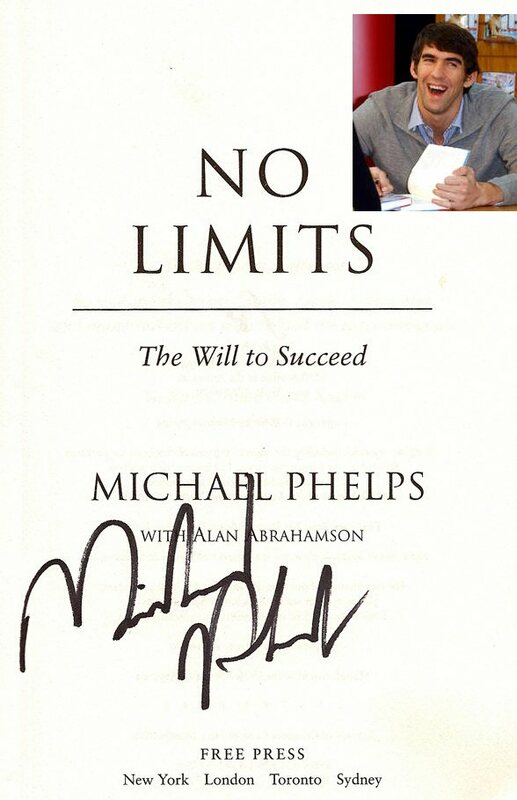 What is so fascinating to me about Phelps’s handwriting is the evidence of ADD. 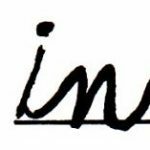 The rushed threaded writing, the illegible i, yet i dot that is directly above the i, not flung off to the right or left, yet there are multiple checks and balances he has put in place in his life that made him a champion! The small letter i is illegible but the i dot is vivid and unmistakable. Showing the contrast between A.D.D. and putting strategies in place. Quite a tribute to Phelps’ character, special gifts and challenges. 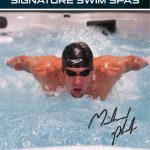 In part 3 of this series of lessons and a few key pointers in Michael Phelps’ signature, I’ve saved the best for last. I will show you the stroke that reveals the writer who possesses and undefeatable spirit! Handwriting is brain-writing. It has very little to do with the hand. When you change your writing strategically and consistently you can affect new neuro-pathways in the brain. When you change your handwriting you can change your life. And when you change your life, your handwriting can change. Check back in 2 days on August 23 for the final post in this series.